There’s a fabulous way to add flair to your home for February. 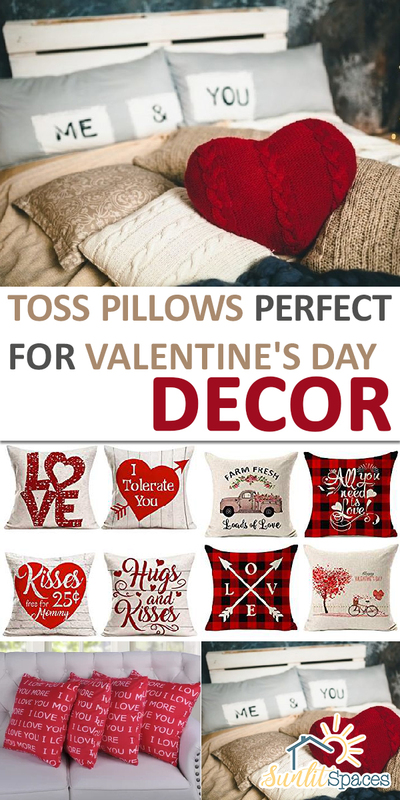 Just purchase some toss pillows perfect for Valentine’s Day decor. Toss pillows are actually a quick and inexpensive home decor solution for any holiday. Just “toss” the pillows on your sofa, sectional, or bed. The decorating is done! Once February is over, pack the pillows in a plastic tote to store until next year. Today I’m going to show you my favorite toss pillows for Valentine’s Day decor. 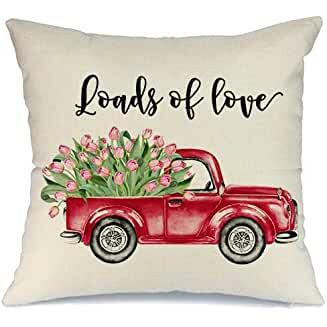 I love Valentine’s Day decor with a little sarcasm thrown in. 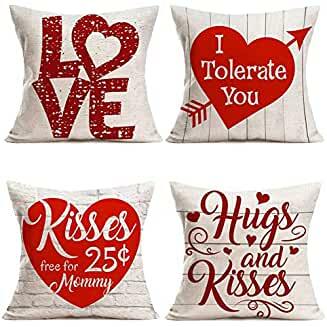 If you do too, this set of toss pillows from Amazon should strike your fancy. It’s a set of 4 cotton-linen blend pillow covers for 18″ square pillows. The price is right at under $18! This set of four 12″x20″ covers have hidden zippers. They’re also the perfect shape for the master bedroom. Buy them for about $18, including free shipping. 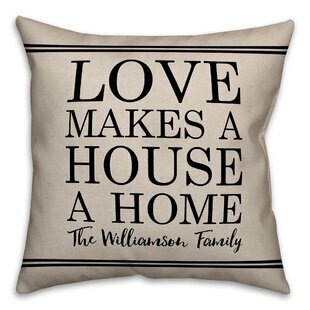 AENEY offers a Valentine’s Day decor throw pillow that is perfect for farmhouse decor. 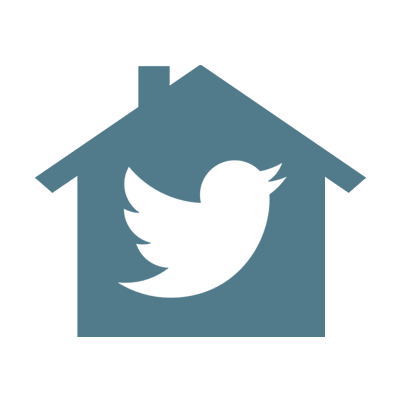 It’s a large 18″ square in high-quality faux linen with a hidden zipper. Under $10 for this beauty! 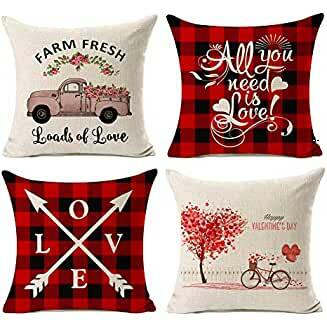 These farmhouse-themed Valentine’s Day pillow covers might be my favorite. The Buffalo plaid is just too cute! 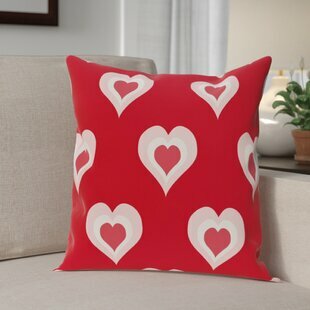 Valentine’s Day outdoor throw pillow by The Holiday Aisle. Currently 29% off! 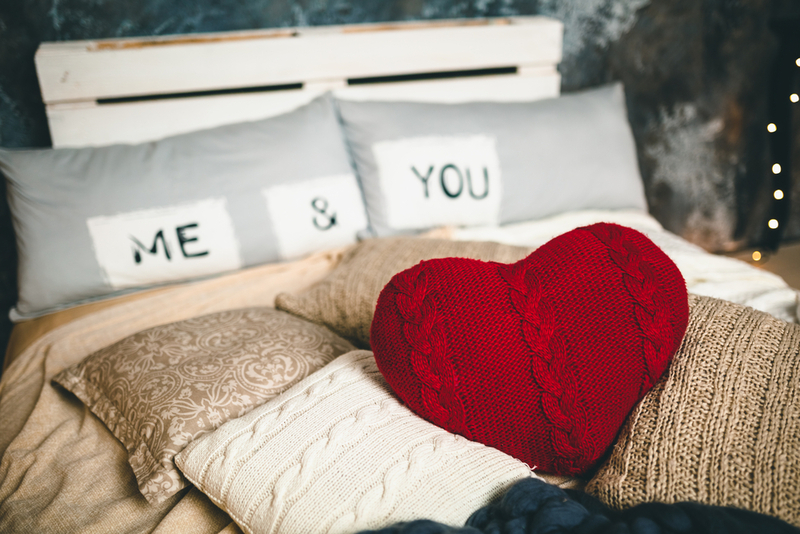 This pillow is great for year round use, not just Valentine’s Day decor. The best part is you get to personalize it with your family’s name. 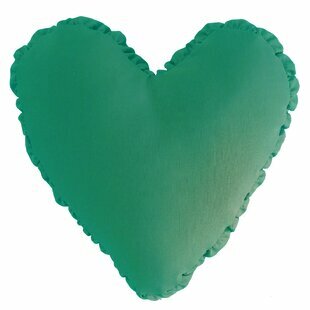 This is a shirred heart design from R&M Industries available in five fun colors. If pink or red aren’t your favorites, no worries! Sometimes the words are what you want. 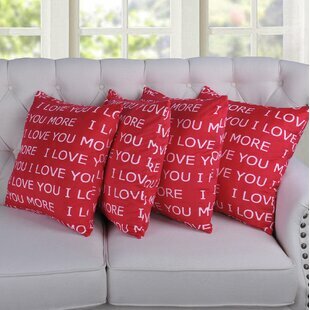 This set of four Titsworth Words throw pillows lets you say it in more than one room! There you go! 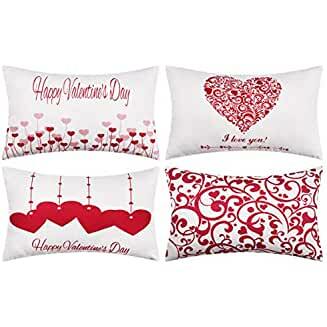 Which of these Valentine’s Day decor throw pillows are your favorite?